As my regular readers know, I am an unabashed fan of Knox Armour gear. I can’t help it. Their contemporary, safety-focused designs and quality construction makes it too easy. Around this time last year, Knox sent me their women’s armored shirt, which transformed the way I wear and buy gear. And this year, they’ve done it again with their new-and-improved Micro-Lock armor. I have to admit, when Knox asked if I’d like to try their new armor, my reaction was pretty reserved. I mean, how much can you really improve motorcycle armor? Turns out, quite a dang bit. This armor. Oh, this armor. It’s flexible, lightweight, and incredibly comfortable. Before trying Micro-Lock, I had very few opinions about armor. Adhering to CE standards was good enough for me. But now? I’m not sure I could ever go back to conventional foam armor. 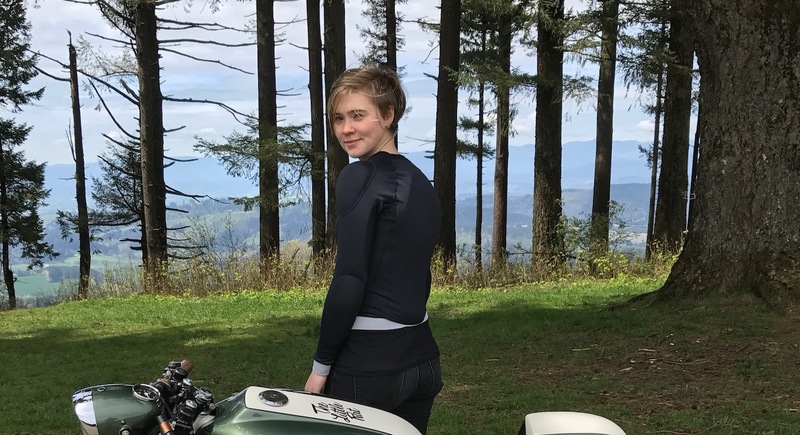 Now, Knox isn’t the first company to launch soft, flexible motorcycle armor. In the US, Icon began using D3O armor in their gear back in 2013. However, according to Knox, none of that armor is very stable. I’m no expert in material sciences, but basically the effect is that less stable armor doesn’t hold up well when subjected to high or low temperatures, and it may start to crumble after just a few years of use. So, Knox spent four years developing their Micro-Lock formula, and they’re so confident in the armor’s stability that they have launched it with a five-year guarantee — the maximum length of time they are allowed to guarantee a product per CE regulations. Oddly, there isn’t a whole lot of information online about how long it is safe to use different types of armor. The only comparison I was able to find was that D3O armor should be expected to last 2-3 years — half the lifespan of Knox’s guarantee. But in the meantime, Knox put together some cool little videos to show impact tests at hot and cold temperatures between micro-lock and a couple other brands. All the Micro-Lock armor is a breath of fresh air after having worn foam armor for years. But the back protector really shines. I know a lot of people don’t care for wearing a back protector because it feels bulky. One friend told me it felt like wearing a turtle shell. Personally, I’ve never minded the bulk a back protector, but this one is game-changing. 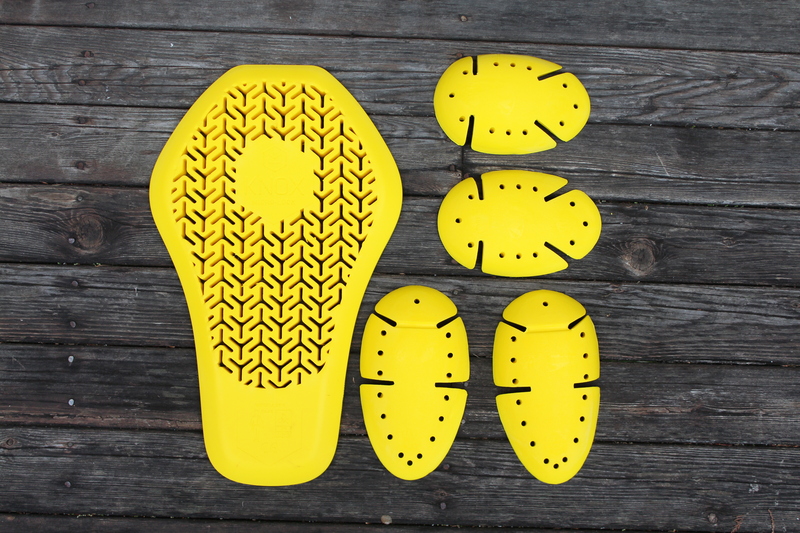 Not only is the material super-light, but the cut-outs help the protector conform perfectly to my back. I could wear it all day, on or off the bike. In fact, J and I stopped for lunch yesterday and I left it on the entire time. It’s that comfortable. Along with the armor, Knox sent me a new women’s Action armored shirt (get it on Revzilla for free US shipping!). I’ve been wearing their original armored shirt for over a year now, and I have to say, this style took care of everything that had bothered me about the original. The fabric in the Action shirt is much softer than in the original, which makes it more comfortable in that little crook of your elbow. The neckline is now a solid black instead of gray, which I find looks better peeking out from underneath my jackets. And the mesh paneling makes the whole thing that much more comfortable to wear in the summer. If you don’t have an armored shirt yet, I highly recommend getting one. Not only can they be worn under almost any jacket you like, but they are made to hold the armor tight to your body. So, if you were to crash, there would be much less chance that your armor would slip around and leave you exposed. Plus, combined with the Micro-Lock armor, the Knox Action Armored Shirt is really a very comfortable, versatile way to stay safe on your bike. Now that Knox has launched the Micro-Lock armor, they’ve raised the prices on their armored shirts about $20 since I last reviewed them. Nonetheless, a complete Knox system (armored shirt + jacket) is still a pretty competitive price point, especially considering the modern designs and high-quality materials. 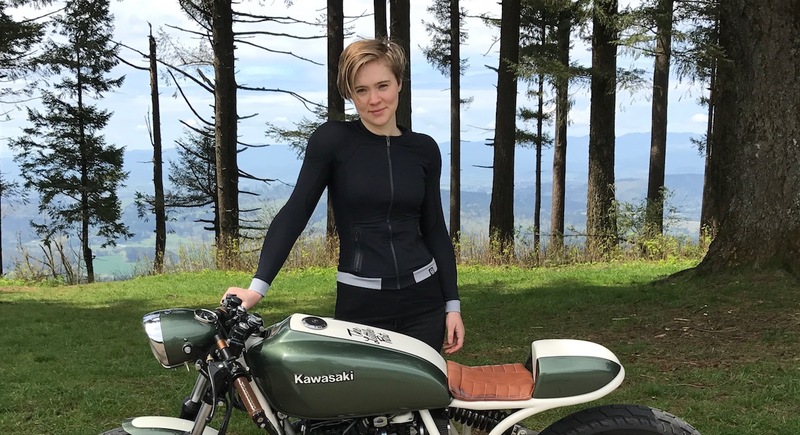 Also, links to Revzilla in this article are affiliate links, which means if you click on one of these links and then make a purchase, I may receive a small commission at no extra cost to you. Thank you! Hi, I follow you on insta, always thought u were cute and I LOVE ur bike. Never knew u had a blog/website whatever u wanna call it. But I’ll definitely start reading it. Hi my name is Bruce , a 3 season Canadian rider that needs everything from my jacket. It has to be good protection, it has to fit right ( sounds like equipment junkie). I’ve ridden many bikes over the years and always focus on the required gear. I’m 56 , and would welcome a chance to receive a micro lock protection shirt for review as you did . Although this is not very likely since I’m 56 and getting less attractive by the year……. My key interest, among others , is how these perform or feel when in warm weather situations ; the longest portion of the season that Canadians do ride in are very warm and our apparel choices need to address this in the protection we wear. That being said, this shirt performs quite well in the heat underneath a jacket with good airflow. I wore their first-gen armored shirt in the sweltering Texas summers under a perforated leather jacket and it did quite well. This updated shirt has mesh under the arms and is made of a stretchy sports fabric that cools off quickly in the breeze. Hope that helps!